Thank you Smith & Nephew for hosting this event and providing us this special dinner at Maggiano’s! 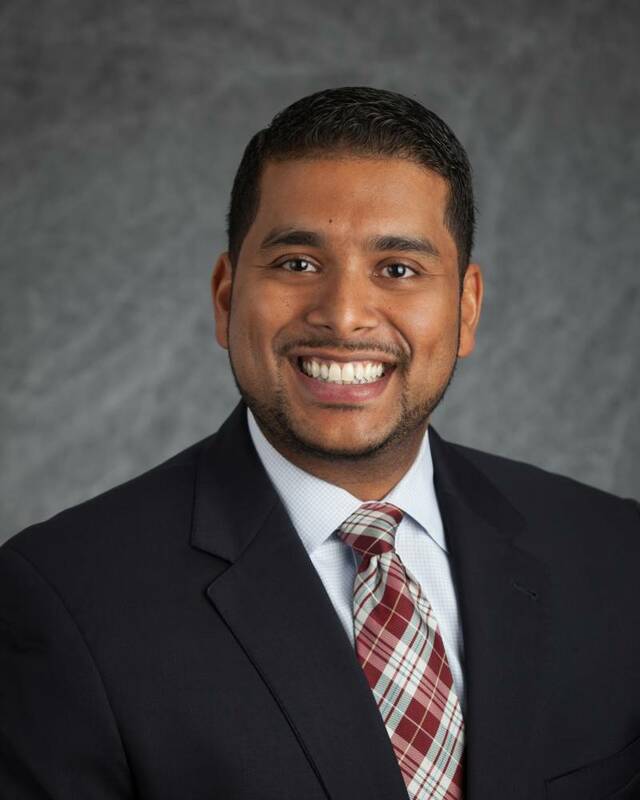 Benson P. Chacko, FACHE serves as the Vice President Operations to Methodist Dallas Medical Center, a 585-bed tertiary Level I Trauma Center providing compassionate care for over 90 years. Prior to joining Methodist Dallas, Benson was with Tenet Healthcare for nine years most recently serving as the interim CEO/COO at its joint venture hospital Baylor Scott & White Medical Center Lake Pointe. His healthcare career spans nearly two decades and covers a wide spectrum to include human resources, business development and hospital operations. In addition he was part of for-profit, non-profit, academic, and community hospitals. Born and raised here in the DFW metroplex, the majority of his time was spent outside of the area in Palo Alto, CA, St. Louis, MO and El Paso, TX. 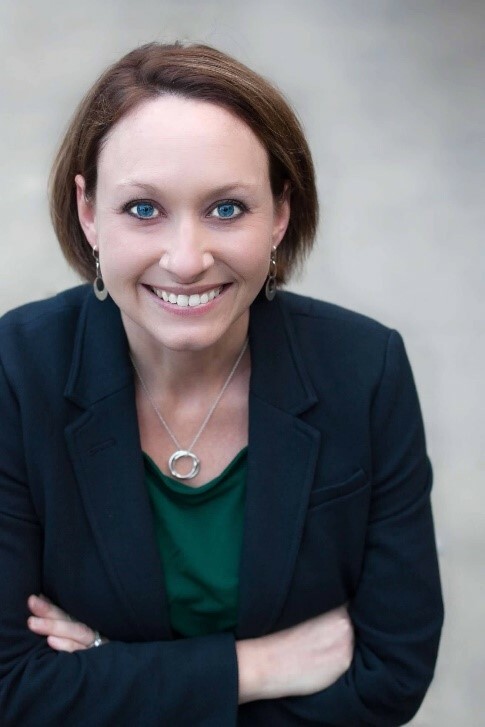 Alyssa Endres, MHA started with the Baylor Scott & White Quality Alliance (BSWQA) in 2013, its first operational year, and currently serves as the Director of Government Programs. She is passionate about understanding the complex, rapidly-changing health policies to drive strategic solutions and achieve the Triple Aim for an aging and underserved population. 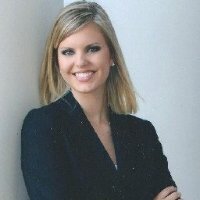 With the passing of the Medicare Access & CHIP Reauthorization Act of 2015 (MACRA), she is responsible for designing a Medicare strategy for Advanced Alternative Payment Model (APM) participation for Baylor Scott & White Health (BSWH), the largest not-for-profit health care system in Texas. She leads BSWQA’s participation in the Medicare Shared Savings Program (MSSP), supporting the key initiatives around financial management, resourcing, clinical quality reporting, and compliance. With over 120,000 attributed Medicare beneficiaries, MSSP is BSWQA’s third largest value-based contract. More recently, Alyssa has been involved in the early implementation of CMS’s new voluntary program, Bundled Payments for Care Improvement Advanced (BPCI-A), as well as BSWQA’s post acute care network performance and strategy development. In addition, Alyssa has shaped the BSWQA’s Clinical Performance Compensation (CPC) program, responsible for distributing earned shared savings to thousands of eligible providers each performance year. Alyssa graduated from Texas A&M University with a Bachelor’s degree in Biomedical Science and earned her Master’s degree in Healthcare Administration from Trinity University. 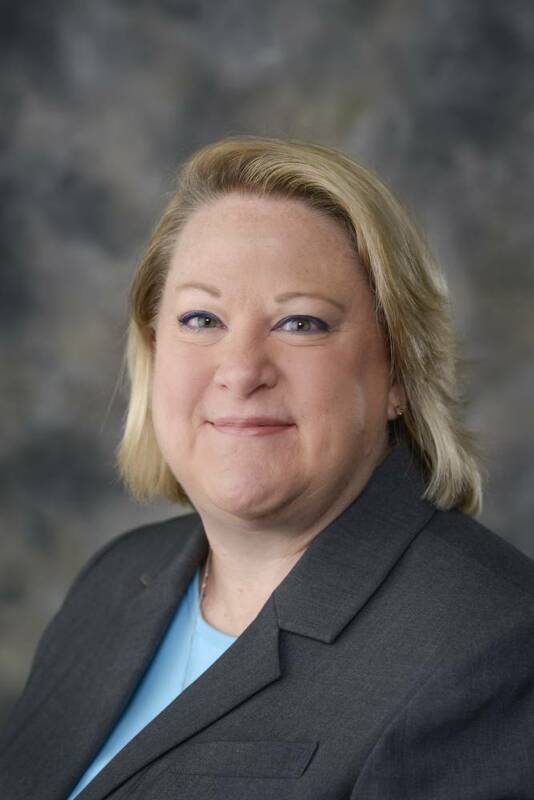 Susan Holsapple, LCSW, ACM-SW, is the Director of Comprehensive Care Management for Baylor Scott & White Medical Center of McKinney and the East Region of the DFW Market for Baylor Scott & White Hospitals. Susan’s team is made up of over 50 experienced RN Care Managers and Licensed Social Workers. These team members work together to facilitate safe patient care transitions throughout the hospital continuum, with a focus on complex disease management and psychosocially complex care management. Susan also partners with various community agencies to identify and work to reduce gaps in services that many patients face. While at BSW-McKinney, Susan has worked to reduce readmission rates, revamp multidisciplinary rounds and improve behavioral health transitions of care. Beginning in 2015, she co-lead with pharmacy and respiratory therapy a process improvement initiative focusing on reducing readmissions for the COPD population. This lead to a poster presentation in Washington DC at the American Case Management Association Conference, a published article in the Collaborative Case Management magazine and a first-place prize at the Bill Aston Quality Summit in 2017. Susan is a Licensed Clinical Social Worker and also holds her Accredited Case Manager Certification. She received her Bachelor of Arts in Social Work at Michigan State University and her Masters of Science in Social Administration from Case Western Reserve University. Susan sits on the board of the Community Health Clinic in McKinney and is a member of the American Case Management Association. 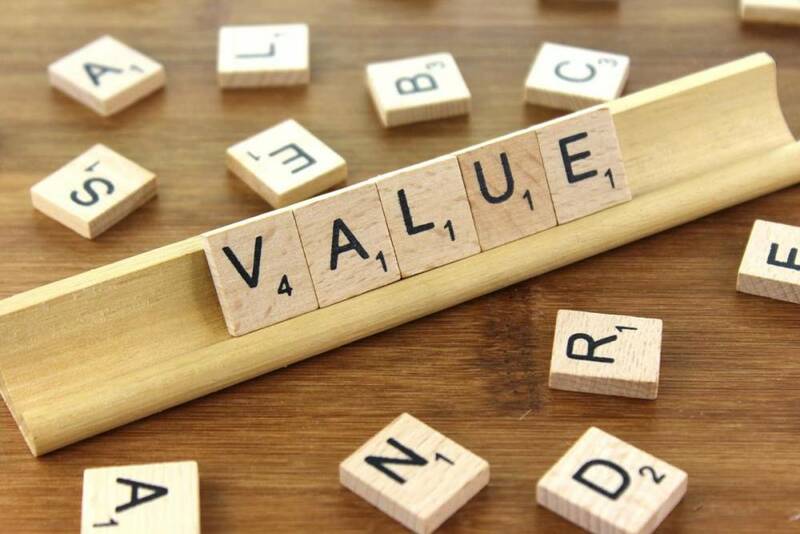 Dr. Ken Hopper is a healthcare strategist, experienced in structuring, staffing and incentivizing approaches that result in “health behavior change” along the social, health, and well-being spectrums. For 29 years, he has worked as a national leader in two major health plans, developed his own brand of systematic case review and team-based care in his clinic (The Hopper Group), and has contributed to the expansion of knowledge regarding the issues facing Psychiatry in the next iteration of health care delivery. His passion through the years remains, simply, the refinement of targeted, effective, and systematic solutions for conditions hidden by shame, guilt, and misunderstanding. Dr. Hopper contributes to several organizations pushing forward best practices for Psychiatric care, overall health, and wellness. He is the Chair of the APA Medical-Behavioral Integration Committee. “The Argument to Payers for Funding Collaborative Care” is a critical personal authorship and collaborative output of the committee this year. Two peripheral, but equally important workstreams are forming. The Leadership/Clinical Tactics Matrix, as well as specific tracts for Psychiatrist Leader development “Beyond the CMO Role” are actively being discussed. As of September 2018, he was elected the President of the Tarrant County Chapter of The Texas Society of Psychiatric Physicians (Texas’ APA branch). The line of site from local to national is extraordinarily beneficial in understanding the needs of all Psychiatrists. Dr. Hopper’s population health roles have included National Medical Director of Integrated Care at the Anthem Government Business Division, and Chief Medical Officer/VP of Clinical Innovation at Humana’s Behavioral Division. He led or co-led early models of integrated telephonic care management and medical provider-specific psychotropic use education. Most recently, he and his team refined targeted field-based case management “on the streets” interventions to help the most vulnerable engage in health. For multiple years, both through efforts in his clinic and in health plans, Dr. Hopper has advanced increasingly targeted versions of collaborative/team-based care in large medical clinics. As a new Associate Professor at the TCU/UNTHSC School of Medicine in Fort Worth (LCME Accreditation Candidate), Dr. Hopper is one of the architects and influencers of a Physician Development Coach program designed to promote physician leadership, impact, and empathy in a rapidly changing medical context. Dr. Hopper sees the resulting learning symphony as an exciting “primary intervention” for the concepts he has retrofitted for years. Dr. Hopper has been a member of the Medical/Behavioral committee of the American Psychiatric Association since forming in 2011, is a founding member of the Medical Director Institute of The National Council on Behavioral Health, is a member of NAMI’s Leadership Alliance, and in his local community, is a board member of The Parenting Center of Fort Worth, and The Jewel Charity Ball (supporting Children’s Medical Center). Bob McCullough, PhD, LCSW, CEAP, is the Clinical Director at SilverCloud Health, a digital mental health treatment organization designed to deliver outcomes that are on par with traditional face to face therapy. His 25+ year career in mental health services has included community mental health, inpatient, managed care and crisis response. His current role responsibilities include overseeing clinical guidance, implementation, onboarding, training and account management. Bob and the SilverCloud Health Team are committed to helping innovative health systems build new avenues to care across the spectrum with fewer resources, enabling organizations that have accepted risk to better manage the cost of care while maintaining quality for the largest number of patients. Dr. Sushma Sharma manages public health research initiatives in her current role at DFWHCF. She serves as the North Texas Community Health Collaborative (CHC) leader, which has membership of more than 45 organizations, including 11 area health systems and 96 hospitals. Dr. Sharma is a scientific executive with over 15 years of post-doctoral experience in scientific research and management. She has extensive experience in conducting and managing research and community programs. She has published over 60 peer-reviewed publications in international journals, serves on the editorial board of international journals, and is an invitee reviewer for several journals. She has won several awards, most recent being the Dr. Ron J. Anderson Thinking Progressively for Health and Innovation Award-Texas Public Health Association 2017. Dr Sharma’s work has taken her all over the world. In her previous role, she worked as a Senior scientist at the University of California Berkeley, Berkeley, CA. She was a Senior scientist and lab manager at the University of Highlands and Islands in Scotland, UK. She completed her post-doctoral research fellowship from the British Heart Foundation UK, after earning her PhD from India. the SAMHSA-funded Dallas County ReJuvenATE (Revitalize Juveniles through Acknowledgement, Training and Empowerment) program to assist high-risk youth and families and promote resilience and equity in communities that have recently faced civil unrest (reference: Dallas shooting in 2016). Sue Schell, MA, joined Children’s Health in 2014 as the Vice President and Clinical Director of Behavioral Health. In this role, she has extended behavioral health services into our community focusing on early identification of treatment needs and preventive care. She developed and implemented the Integrated Behavioral Health Program, School Tele-Behavioral Health Program and the Teen Recovery Program which treats adolescents with both mental health and substance abuse issues. Currently, she is also expanding the organization’s programs serving children with autism while increasing operational efficiencies. She is involved in local and national work groups coordinating programs to build community resilience. Before joining Children’s Health, Sue held regional and national leadership positions in two managed care companies where she developed and oversaw clinical teams providing care management, utilization review and quality improvement programs. She has experience in community mental health and private practice. Sue earned her master’s degree in Clinical Psychology from Xavier University in Cincinnati, Ohio and is a Licensed Professional Counselor. 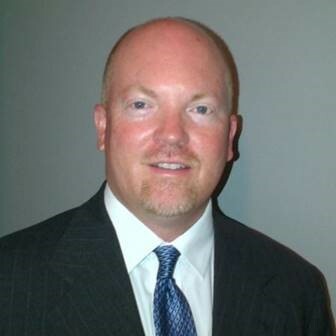 Marc Schmidt is the Market President, Texas with naviHealth where he oversees all health system and health plan operations across the state. Marc joined naviHealth in early 2015 to launch their BPCI Classic program with 14 hospitals across the state, expanding to 31 hospitals with the launch of BPCI Advanced in Oct 2018. Prior to naviHealth, Marc held a variety of strategic and operations roles with Golden Living, a large national post-acute provider with skilled nursing, rehab and hospice operations. Earlier in his career, Marc worked in management consulting for Bain and Deloitte, as well as in corporate finance roles for American Airlines and Dell. Marc graduated from Vanderbilt University and has a Masters of Business Administration from the University of Texas at Austin McCombs School of Business. Janelle Shepard, MBA, BSN, RN-BC, is a registered nurse with 40+ years’ experience in a variety of areas. She currently serves as the system leader for care continuum operations for Texas Health Resources in the Dallas Fort Worth Region. She supervises approximately 330 nurses and social workers in UR, care transitions and population health roles. Her other duties include work with payors, physician groups, community partners and multiple stakeholders in a complex region where the healthcare industry is competitive and complex. Janelle has been appointed by 2 Texas governors to several state leadership boards including the Texas Commission on Judicial Conduct, The Texas Higher Education Coordinating Board and she currently sits on the Texas Woman’s University System Board of Regents. 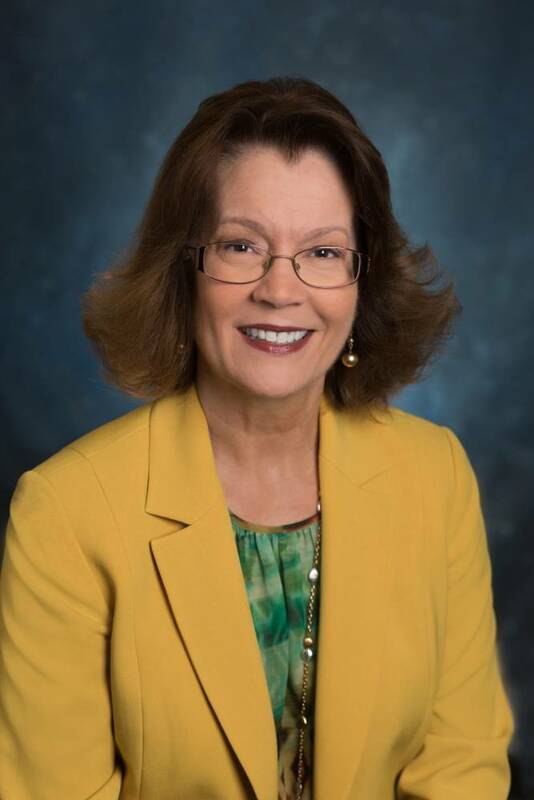 She has been recognized by the Texas Organization of Baccalaureate and Graduate Nursing Education leaders for working to increase and enhance nursing education in the state of Texas – particularly the doctorate of nursing practice programs. 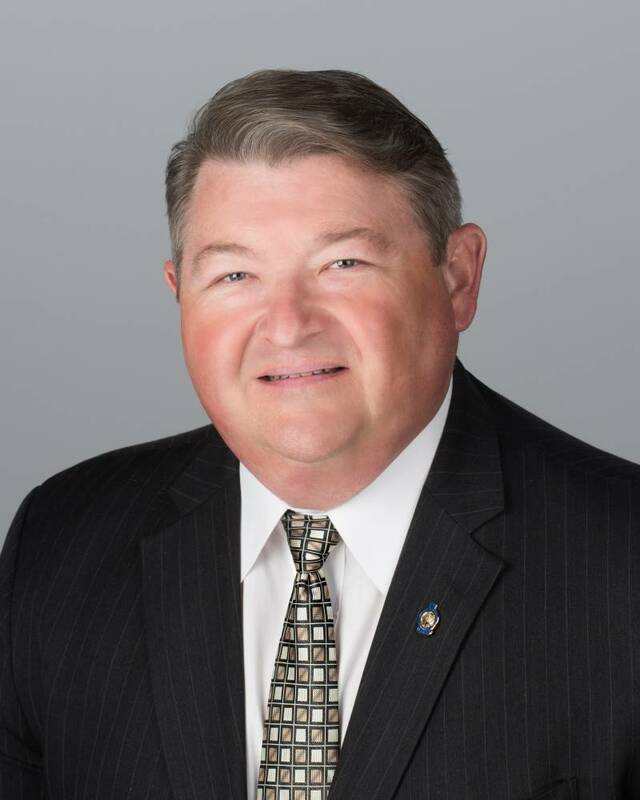 Kevin W. Stevenson, MBA, FACHE has served in leadership roles in healthcare organizations, hospitals and systems for over 30 years with specific expertise in operations, network development, marketing and crisis communications. He currently serves as the Executive Vice President for the North Texas region of IntegraNet Health, an independent physician network with over 1300 physicians throughout Texas. Kevin and his teams have been recognized regionally, nationally and corporately for operational and creative works. He was honored by the Greater Omaha Chapter of the American Marketing Association as its Marketer of the Year when he was a system executive for CHI Good Samaritan Health Systems. A native of Dallas, Kevin and his wife, Michelle, have two daughters and are avid Baylor University football fans and tailgaters and are members of Park Cities Baptist Church in Dallas where Kevin sings in the Sanctuary Choir and serves as a deacon and Michelle is active in the women’s’ ministry. Kevin is particularly proud of his pathetic golfing skills. Melissa Winter, DNP, RN, NEA-BC, was appointed chief nursing officer (CNO) and chief operating officer (COO) of Baylor Scott and White Medical Center – McKinney in 2011. As CNO, Ms. Winter is responsible for planning, directing and coordinating nursing and clinical services to ensure the delivery of safe, quality, efficient and compassionate care. During her tenure at Baylor Scott & White – McKinney, she has successfully achieved Magnet® recognition, NICU III designation, Baby Friendly status, Stroke Certification and many more, all while leading the system in high quality metrics and leading RN retention. 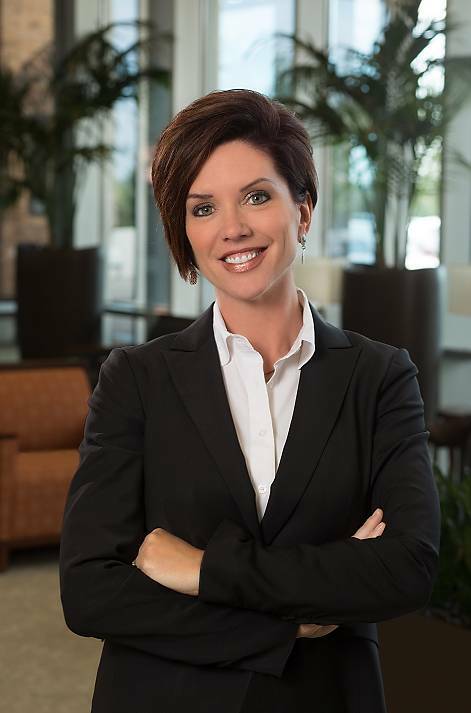 Before joining Baylor Scott and White – McKinney, Melissa served as vice president of patient care services and chief nursing officer for The Heart Hospital Baylor Plano (THHBP), which opened in 2007. While there, Melissa helped launch an advanced hospital that is consistently ranked in the top one percent nationally in patient satisfaction. THHBP received the American Nurses Credentialing Center Pathway to Excellence designation in 2009 and Magnet® designation in 2011. Ms. Winter was listed among the Great 100 Nurses in Dallas/Fort Worth in 2009 and received the Dallas/ Fort Worth Hospital Council’s Young Healthcare Executives of the Year award in 2010. At Baylor Scott and White – McKinney, Melissa serves as a member of the Executive Leadership team and collaborates regularly with the physicians to continually improve the hospital’s best practices while striving to achieve the hospital’s mission and vision. Ms. Winter is a graduate of West Texas A&M University where she earned a bachelor’s in nursing and a master’s in nursing administration. She received her Doctorate in nursing practice in December 2014. She is a member in good standing of the Texas Organization of Nurses, American Nurses Association, and the Texas Nurses Association. A big thanks to Smith & Nephew for hosting this event and providing us this special dinner at Maggiano’s!